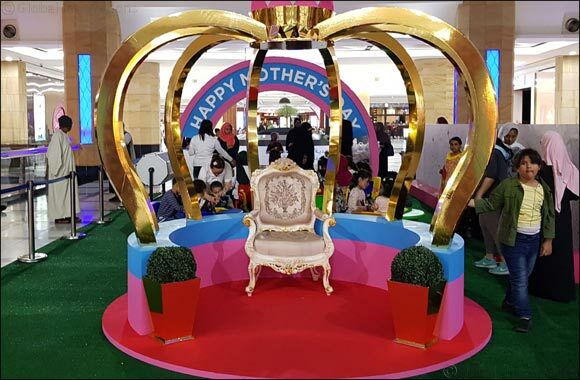 Dubai, UAE, March 18, 2019: Bawabat Al Sharq Mall, Abu Dhabi's premier family shopping and leisure destination, celebrates this year's Mother's Day with a difference. Titled 'Gift your Mom the brightest surprise this Mother's Day' the 8-day celebrations will put to test the creative skills of children of the shoppers visiting the mall. They get chances to design a Mother's Day greeting card for their mothers. Every card design entitles the child for a raffle draw coupon. The winner gets a diamond set for his or her mother as the grand surprise. The card design competition will take place at the Kids Activity Area at the First Floor. Additionally, the children will be treated to a whole load of fun activities which includes Coloring Wall, Face Painting, Quilling Paper designing, Canvas Painting, Sand In A Bottle and Photo Opportunity. The 8-day Mother's Day festivities will take place at Bawabat Al Sharq Mall from 14th to 21st March 2019. The raffle draw is scheduled for 21st March at 8:00 p.m.